Henderson has been a fixture at the Cheltenham Festival since 1985 and he has saddled a record 58 winners during that time. Last year he achieved success with Altior, Buveur d’Air and Might Bite, who are now the favourites to win the three biggest races at this year’s Festival. Check the Sporting Index lines and you will see that Might Bite is the ante post frontrunner for the Gold Cup, Buveur d’Air is leading the way in the Champion Hurdle and Altior is the one to beat in the Queen Mother Champion Chase. Cheltenham has handed out leading trainer awards since 1997, and Henderson claimed three of them, in 2000, 2010 and 2012, when he had a record seven winners. Last season he was crowned the UK’s Champion Trainer for a fourth time, and he leads the rankings this season, with 108 wins leaving him just ahead of second placed Paul Nicholls. 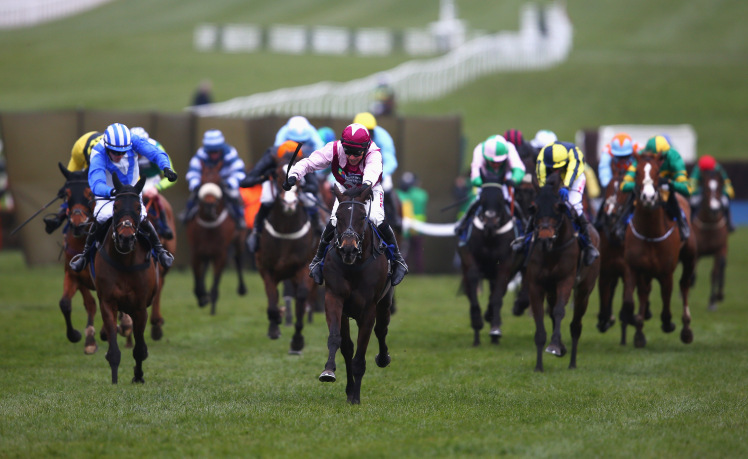 However, in recent years the one to watch at Cheltenham has been Irishman Willie Mullins. He was usurped by countryman Gordon Elliott last year, but walked off with the Festival’s leading trainer award four times in a row between 2013 and 2016. Mullins also broke Henderson’s record by landing eight winners in 2015. The serial Irish champion trainer has been in the business for a decade less than Henderson, but is closing in on his record. Mullins has recorded 54 wins and he will soon overtake Henderson if he keeps on delivering winners. These two will be in for a fascinating battle during this year’s Festival, but right now Henderson looks to have the stronger hand. Walsh has been named the top jockey at the Cheltenham Festival no fewer than 11 times during his distinguished career. He rides predominantly for Mullins, so he has enjoyed plenty of great mounts over the years, but he has also displayed great flair in the saddle and risen to the challenge of Cheltenham on an annual basis. Walsh has 32 wins at the Festival, which puts him comfortably ahead of second placed Sir Tony McCoy in the all-time stakes. He has been the top jockey at the Festival for the last five years, but his chances of defending his crown are in serious jeopardy this year. The 38-year-old champion jockey suffered a broken leg during a fall on Let’s Dance at Leopardstown in November and has not raced since. But he is now edging closer to a return after resuming riding work, and he looks set to be back in time for Cheltenham. McManus secured his 50th winner at the Cheltenham Festival when Buveur D’Air landed the ferociously contested Champion Hurdle last year. He had two further winners at last year’s meeting to take his tally to 52 in total, leaving him clear out in front as the most successful winner in the Festival’s long history. It is worth noting that the record holders are typically operating in the modern day, because the number of races almost doubled in recent times. But take nothing away from Henderson, Walsh and McManus, who have been at the top of the sport for many years now. The owner with the second highest number of Festival wins out of the current crop is the Gigginstown Horse Stud, with 19, leaving it 33 behind McManus. Every year he assembles a formidable team for the Cheltenham Festival and he has a strong line-up this year, including Buveur d’Air, Apple’s Shakira, Yarnworth and Espoir d’Allen. The Gold Cup is always the pinnacle of the Cheltenham Festival and it has seen some legendary multiple winners over the years, including Arkle, Best Mate, Cottage Rake and Kauto Star. But none can hold a torch to Golden Miller when it comes to sheer dominance in this race, as the superstar chaser won it five years in a row between 1932 and 1936. The closest anyone has got since is three wins, and it seems highly unlikely that Golden Miller’s record will ever be broken. In 1934, after cruising to a third straight Gold Cup, he went up to Aintree and won the Grand National in record time. In doing so, he became the only horse to ever win both prestigious races in the same year. A statue of Golden Miller was erected in the parade ring at Cheltenham Racecourse and he is immortalised as a masterful chaser.